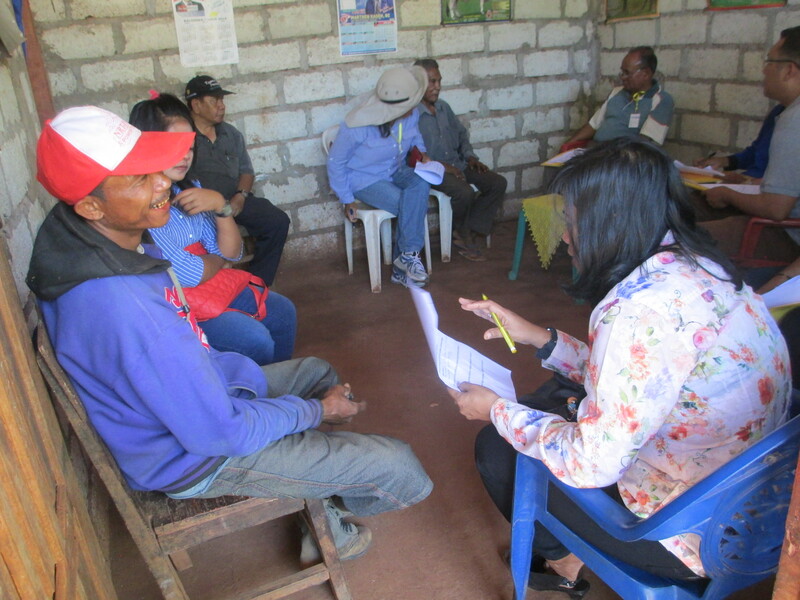 For those who work in research and animal health in rural farming communities, communication and social research is important for learning methods to improve farming practices and livelihoods. Learn how to communicate social impact results to different audiences. The courses involved participants sharing their own experiences and understanding of farm family decision making, the process of adopting new practices, farmer-to-farmer learning and identifying potential social impacts. Social research methodology was then introduced, including how to design questionnaires and interview guides. 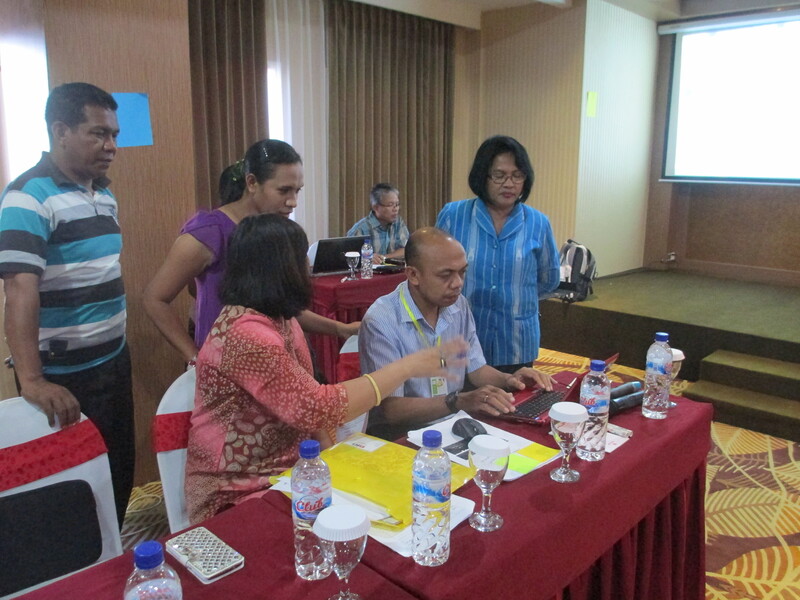 Participants used this knowledge to undertake data collection and interviews in the field. 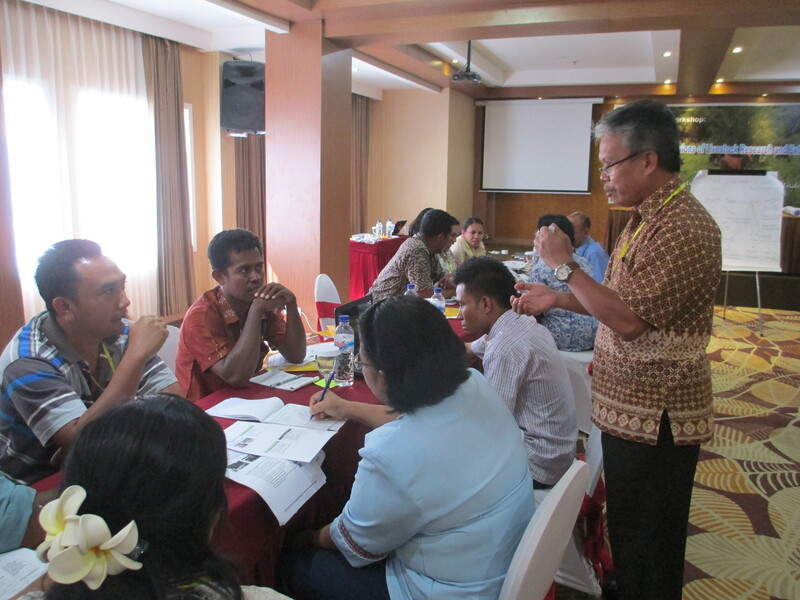 The first four-day training course, entitled ‘Social Dimensions of Agricultural Research and Extension in East Nusa Tenggara (NTT), Indonesia’, was held mid October in Kupang, Indonesia. Twenty eight participants attended, including six researchers from the NTT Agricultural Research Centre (BPTP) and 22 District and Provincial Livestock officers. Participants presented a variety of real-life scenarios where farmers had either trialled a new practice (and stopped or continued), or not trialled the practice at all, and why. It was found there was less awareness of the potential negative impacts of introducing new technologies, so more time was spent on discussing impacts and social equity. The field day was spent interviewing farmers from a village who were growing and feeding leucaena to cattle and pigs. 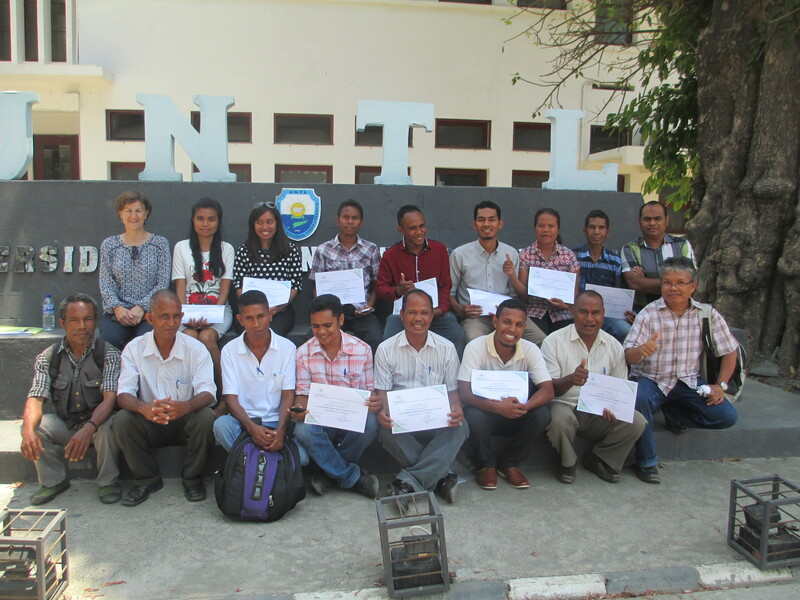 The second training course, ‘Social Dimensions of Livestock Research and Extension in Timor-Leste’, was held in Dili, Timor-Leste, in late October. Fifteen participants attended, including four animal health lecturers from the University of Timor Leste and 11 district veterinary officers. Participants shared their experiences and understanding of how farming families in Timor-Leste make decisions about livestock management, what motivates or limits farmers in trialling new practices, and how to design an effective farmer learning process for pig and goat husbandry, cattle raising using improved fodder, and reducing parasites in buffaloes. The field day involved interviewing farmers who raised livestock in conjunction with cash crops in a Hera village near Dili. “The training courses have improved the capacity of research, extension and animal health staff to design their work more closely to farmer needs, implement a sound farmer learning process, and evaluate impacts using rigorous social research methods”, said Dr Millar. “Data collection, through interviews and observation, was considered most useful by the majority of the participants from both courses, which indicates that they will be able to apply the newly acquired techniques in their work”. The facilitators were thankful to the Crawford Fund for supporting the training, and thus providing social research training to many staff whom had never been exposed to rural sociology concepts before, even though their work revolved around working with rural communities and farmer extension. 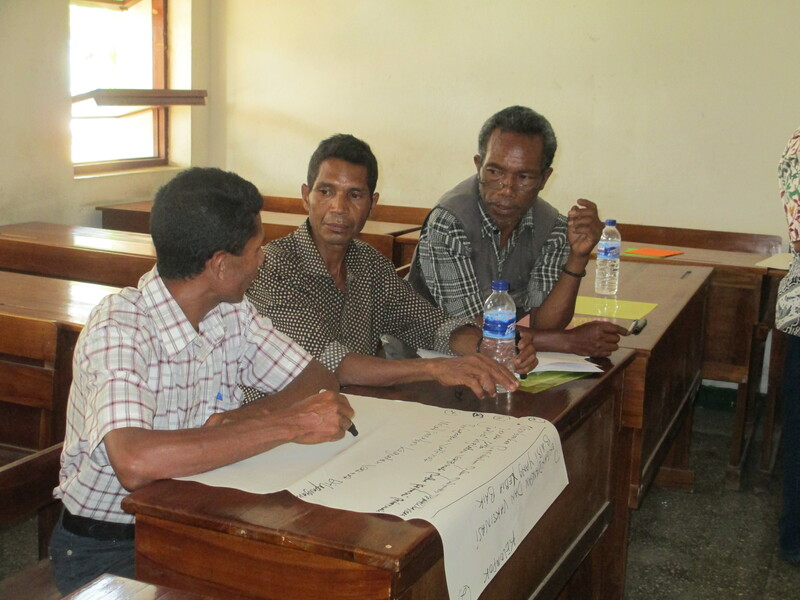 The courses have laid a solid foundation for staff working on ACIAR and government livestock projects in West Timor and Timor-Leste.